One of my driving hero's is Juan-Manuel Fangio. Fangio was the man for me. A great driver who won five Formula One championships and completely dominated Formula One in its early years. He drove beautiful, powerful cars with great finesse and is considered the greatest driver ever. Even by the great Michael Schumacher who took the title of most F1 championships of him, after 45 years, in 2003. The 159 Alfetta above is the one he won hi 1951 World Driving Championship in and is an amazing looking car with a huge amount of horspower. 450hp in face from a dual supercharged 1.5 litre straight eight. I recommend you search Youtube for some video's of these at 9,500rpm, incredible. 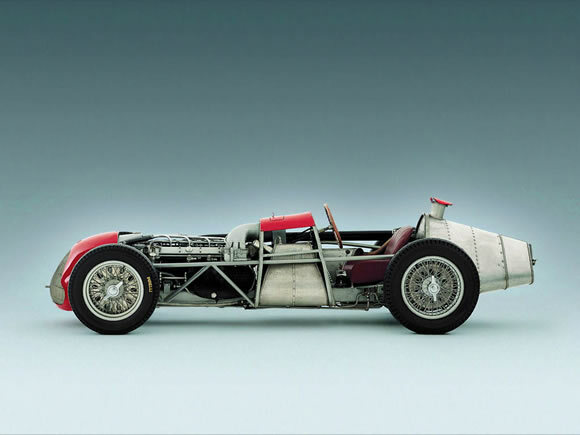 The 159 is one of the winningest cars ever built and by 1950 was a 12 year old design that Ferrari and Maserati were only just starting to catch. 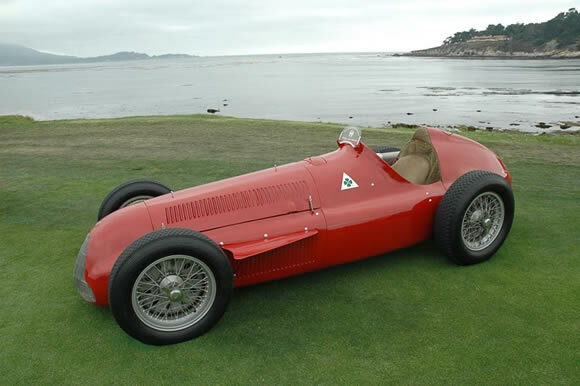 Alfa Romeo have never done so well as they did with this car but they did it so well I don't think they really had to. Point proven. Beautiful motoring F1 style. It's so beautiful I had to include this pic of its insides. Fantastic.